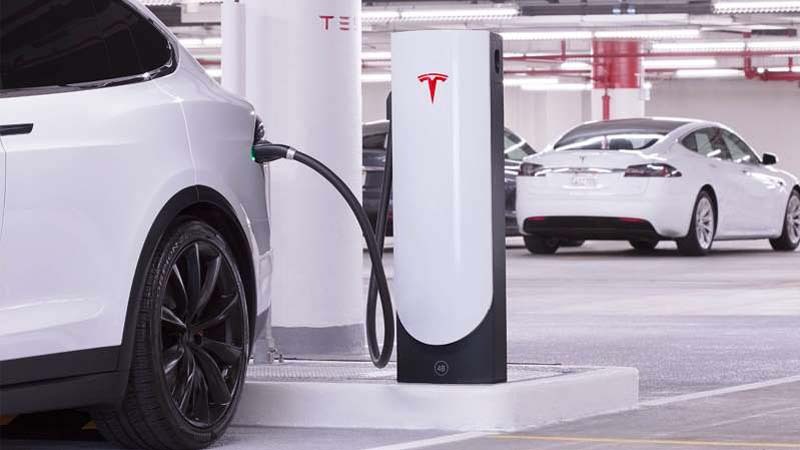 In a surprise tweet, Tesla CEO Elon Musk revealed that the all-electric automaker will begin rolling out next-generation Supercharging systems in early 2019. Along with an increased charging speed, the new hardware is said to strengthen Tesla's Supercharging network even further, bringing it within range of 95 to 100 percent of all population within its active markets. Tesla's also hasn't released details on just how quickly its third-generation Superchargers will charge vehicles. In the past, Musk called Porsche's 350 kW chargers a "children's toy", so it's possible that the automaker is looking to make something even more powerful. Current charging standards crown CHAdeMO in the lead, providing as much as 400 kW of charging capacity, followed closely by CCS at 350 kW. Whether or not Tesla's current road-going cards can make use of the increased charging rate is another unknown. Supercharger V3? Now I'm curious. What power out are we talking about? 350 kW? Another bragging point by Musk is that Tesla will "double" its Supercharging capacity by the end of 2019, bringing somewhere between 95 and 100 percent of the population in the markets that Tesla serves into driving distance of a Supercharger. It is unclear how Tesla defines doubling capacity; if this refers to just charge rate, then a software update or simple hardware refresh may be needed at the Supercharging stations. Currently, each Supercharging station can provide up to 145 kW of charging capacity split between two cars. No single car can draw more than 120 kW at one time, meaning that a charge to 80 percent capacity can take around 30 minutes.